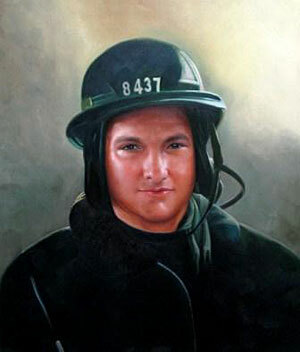 Thomas Eugene Molinaro was only 23 days old when his father, Firefighter Carl Eugene Molinaro of Tottenville, was buried underneath the rubble of Tower 1 of the World Trade Center. Mr. Molinaro was born in Brooklyn and moved to Eltingville with his family when he was 11 years old. He attended Tottenville High School and played on the school's football team. After graduating from high school, Mr. Molinaro went to work for Mirror Craft Designs, the Linden, N.J., a furniture maker owned by his father. For fun, he would ride motorized dirt bikes and go on hunting trips with his family in upstate New York. But Mr. Molinaro developed another ambition beyond furniture making. He wanted to become a New York City firefighter. Firefighter Molinaro was supposed to get off work at 9 a.m. on Sept. 11 but was still in the firehouse when Ladder 2 was called to respond to the Trade Center.